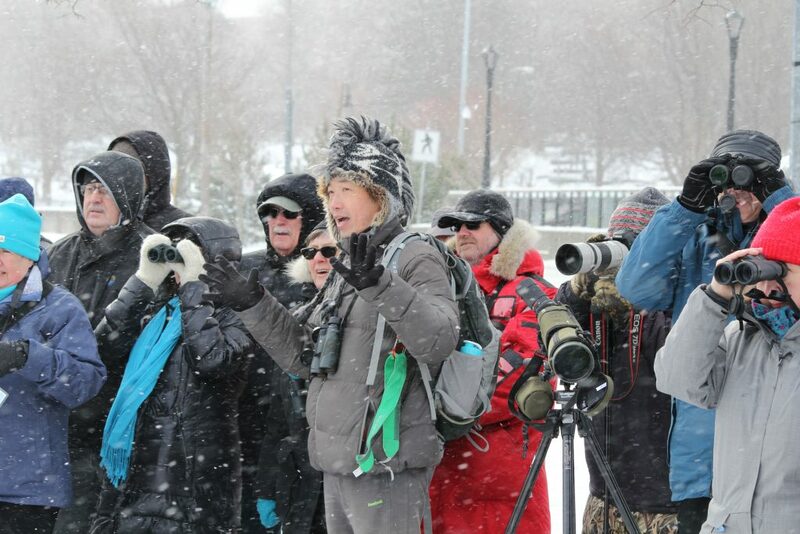 Jared Clarke talking to the group of participants about winter gulls (Photo by Megan Boucher). It has been an odd winter here in St. John’s, NL with not much ice or snow leading up to the Gull workshop on February 17th. As usual, it was another cold breezy day at Quidi Vidi with an early morning snowfall. This year our team consisted of Jared Clarke, Lancy Cheng and Alvan Buckley, three knowledgeable local birders to teach everyone about the winter gulls. Even though there wasn’t any ice on the lake, our group of 60 participants still managed to see five species of gulls. These included Great Black-backed, Herring, Iceland, Glaucous, and Lesser Black-backed gulls. Traditionally the walk follows the trail from the Dominion Parking Lot towards the Virginia River Outflow, however due to the lack of ice this year we remained at the Rennies River area at the west end of Quidi Vidi. Lancy Cheng talking about an Iceland gull and how to identify it from other gulls (Photo by Megan Boucher). 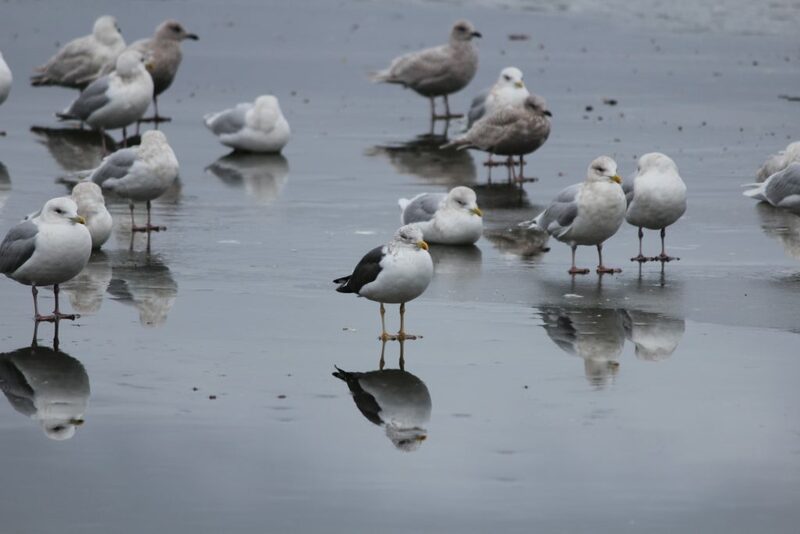 For identifying gulls, it is easier to keep them in the field of view in your scope or binoculars when they are standing on the ice. This allows you to see some key features such as the legs, folded wing tips, and tail more easily to help with identification. This year the gulls were a bit trickier to keep in the scope and binocular views as they were floating and swimming in the water. There were also feathered friends for viewing including the Pied-billed Grebe, female Ring-necked Duck, American Coot and oddly enough a Gadwall which is not a familiar species observed in Newfoundland especially during the winter months! 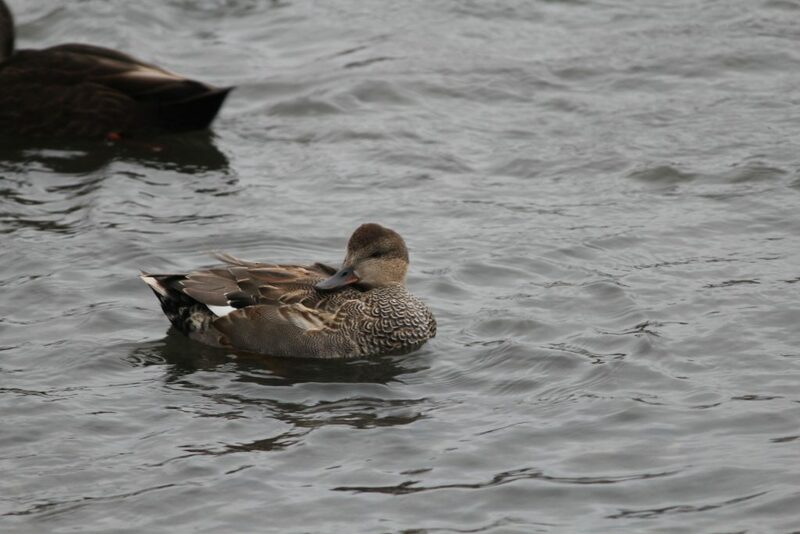 Gadwall hanging out at Quidi Vidi Lake (Photo by Megan Boucher). A large mixed group were seen in the middle and far end of the lake (Photo by Megan Boucher). 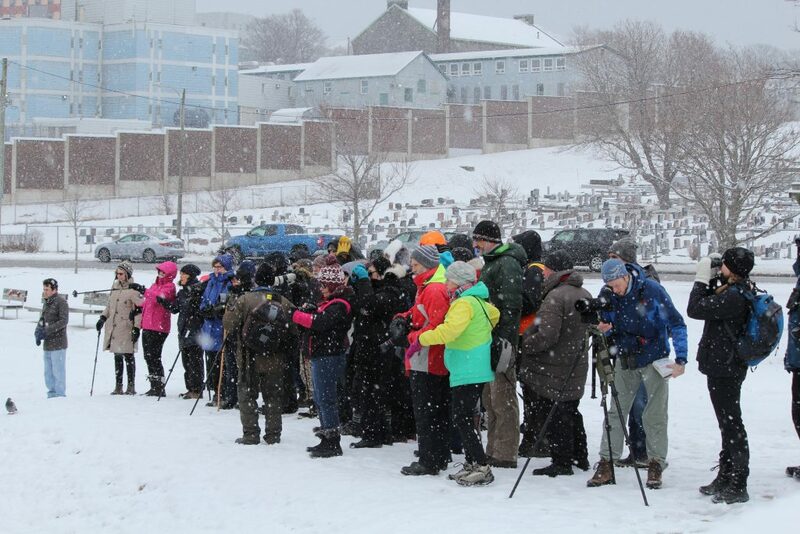 If any participants would like to be added to the Ebird list, please send your Ebird username or email associated with your Ebird account to Megan Boucher, who can be contacted via the Nature NL contact info or the Facebook event page. See you next year!